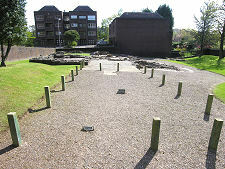 Bearsden's Roman Baths can be found a couple of hundred yards east, or downhill, along Roman Road from Bearsden Cross, the centre of the town. 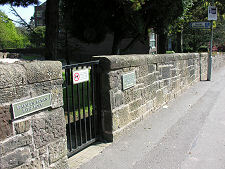 A gate in a low stone wall on your left gives access to a remarkable example of the survival of ancient archeological remains despite later development. Parking restrictions on Roman Road mean that visitors are advised to leave their cars in the car parks at Bearsden Cross and walk. 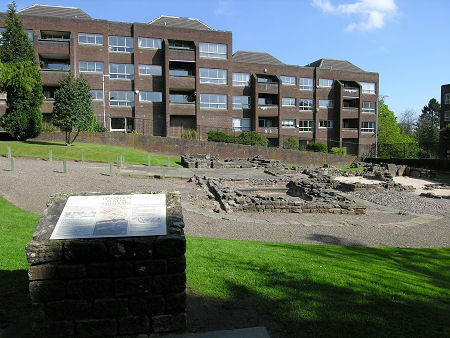 In the face of it, a prosperous suburb of Glasgow is not where you would immediately think of looking for Roman remains, especially given the often held misconception that the Romans never came north of Hadrian's Wall. The truth, of course, is that Hadrian's Wall did not mark the northernmost extent of the Roman Empire. The much less well known Antonine Wall was built between AD142 to 144 and ran for 37 miles (60km) from Bo'ness on the River Forth to Old Kilpatrick on the River Clyde. It is also easy to forget that the world the Romans lived in was unrecognisably different from the world we know today, and in particular it was a world in which Glasgow was centuries away from appearing. Like Hadrian's Wall, the Antonine Wall formed a solid barrier right across the country. 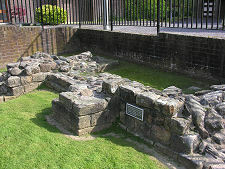 A clear symbol of Roman power and authority, the wall probably served to control the movement of people and goods between the Roman-controlled area to the south and the lands to the north. 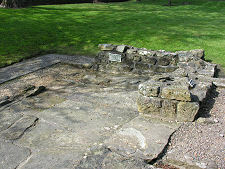 The Antonine Wall was in use for around 20 years. The relatively short period of occupation and the materials used in its construction mean that it has survived less well than Hadrian's Wall: but in its day it would have been just as formidable a barrier. A little way to the south of the line of the wall ran a Roman Road, the Military Way. At intervals of around 2 miles a fort was built to house the troops manning the wall. 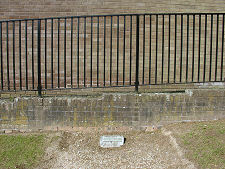 There were probably 19 of these along the wall, though only 17 have been found on the ground. One of these forts was sited in what is today called Bearsden. Antiquarians had long known of its location, but the dramatic growth of Bearsden following the arrival of a railway line from Glasgow in 1863 meant that it was lost, many thought forever, under a series of large Victorian mansions. All that remained was the road that followed the line of the Antonine Wall's Military Way, which became known as Roman Road. In the early 1970s plans were approved to replace the old houses in this area with a series of apartment blocks. 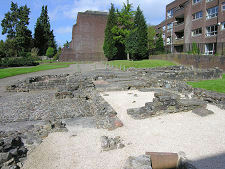 Demolition of the Victorian mansions revealed that much of the Roman archaeology remained in place, covered by the fill the Victorian builders had used to level up their sloping site. A major archaeological dig got under way in 1973, which uncovered most of the ground plan of the fort. 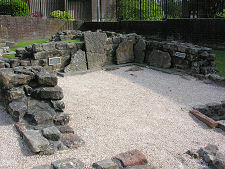 Especially well preserved were the remains of a bath house found in an annex at the east end of the fort (ie the end furthest from the centre of Bearsden). 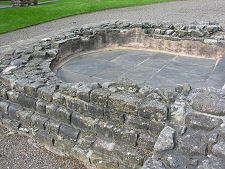 This turned out to be one of the best surviving examples of a bath house ever found in Scotland. Although development plans originally involved building on this part of the site, it was left vacant and gifted to the nation by the developer. 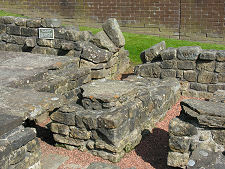 The remains of the bath house are cared for by Historic Environment Scotland. 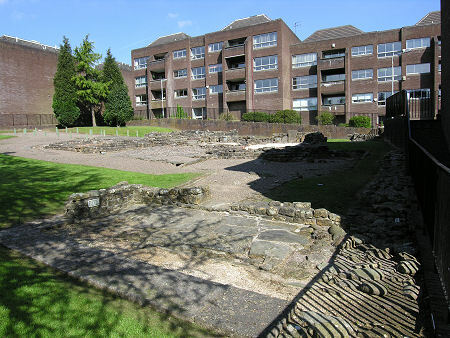 All this gives the site of Bearsden Roman Baths rather unexpected surroundings. 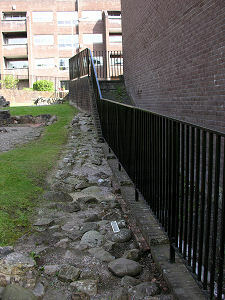 The south side of the site is bounded by the stone wall that separates it from the pavement on Roman Road. But the other three sides of the site comprise a series of apartment blocks constructed from dark red brick, with those to the west overlaying the site of the rest of the fort. 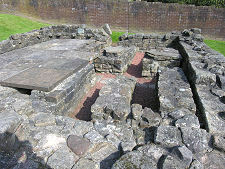 The bath house itself was a long and fairly narrow building aligned east-west, in effect running down the hill from left to right when seen from the Roman Road side. The far, north, side of the bath house had two rooms projecting from it, while a further room projected from the middle of the south side of the bath house. 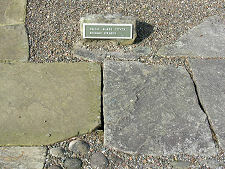 A few yards to the south east of the bath house is the site of the latrine block, also very well preserved. The nearby information board gives a very clear idea of the different components of the bath house, and this is supplemented by discreet signs attached to the foundations of the various rooms that help you identify exactly what you are looking at. Roman Road, Bearsden, Glasgow. Signed from Bearsden Cross on A810. Approximately 600 metres down Roman Road.